Only a couple weeks until the new Idea Book is available for orders. I am loving EVERYTHING in it! One of the things I ordered is the new Chantilly Workshop on the Go card kit. 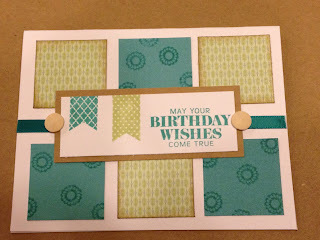 It has everything you need to make 15 birthday cards, perfect for anyone! Are you excited yet? 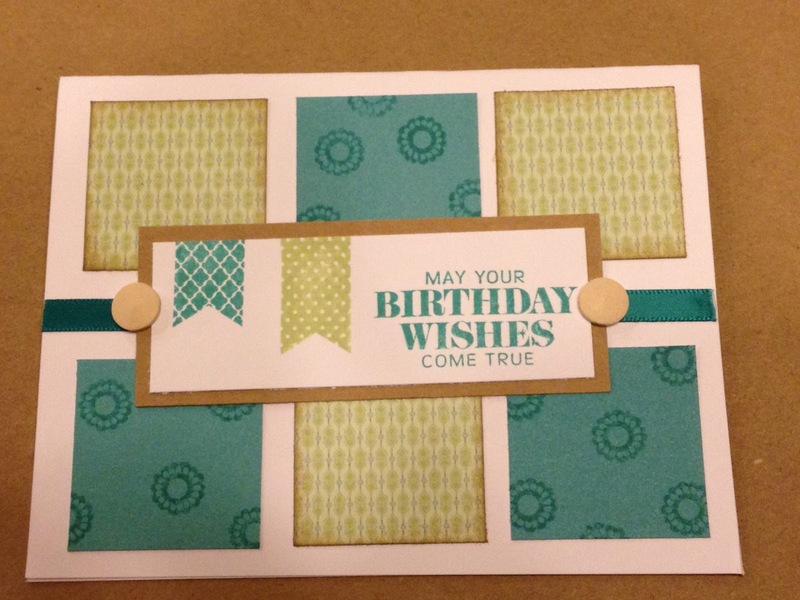 Not only does it make 15 cards, but by adding card bases and one sheet of Kraft cardstock, I was able to make 15 more. I love it! Here's a sneak peek of one of the cards. I love the colors and the fact that it isn't gender-specific. I am always needing lots of birthday cards.